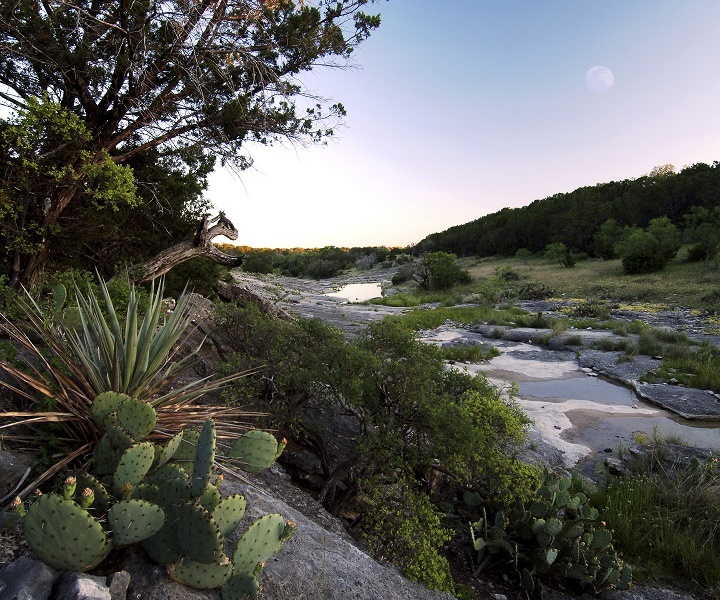 The Edwards Aquifer Habitat Conservation Plan outlines necessary strategies to ensure the survival of rare, threatened and endangered species that depend on the Aquifer and the San Marcos and Comal Rivers…while permitting continued use of the resource by the public. There’s federal law requiring this, but it’s the right thing to do in terms of protecting the resource for all of us into the future. Cindy Loeffler is water resources branch chief at Texas Parks and Wildlife and one of the architects of the protection plan. Convincing people to do the right thing based on the needs of a rare species they may never see can be a hard sell. The plan includes ongoing water conservation, removing invasive species, and declaring a portion of the San Marcos River a state scientific area. Doing so would make it illegal to uproot endangered Texas Wild Rice. Loeffler says these protected species are indicators of a healthy ecosystem—and that benefits everyone. By providing these protections for these species, that helps ensure that the San Marcos river, the Comal River will keep flowing. Keeping these springs flowing is really at the heart and soul of the work done by the recovery implementation program. And so that benefits the species, of course, but also benefits people as well. Find a link to the plan’s website at passporttotexas.org. 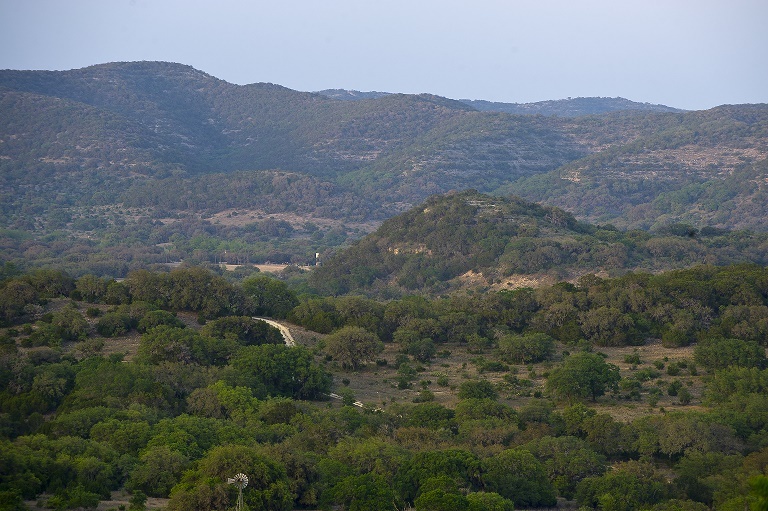 Two million people – from Central to Southwest Texas – depend on the Edwards Aquifer for their drinking water. It also supplies important water sources for industry, agriculture, recreation…a number of things. 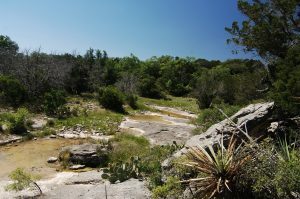 Cindy Loeffler, water resources branch chief at Texas Parks and Wildlife, says eight federally listed endangered species call the aquifer home; some of them exist in this location only. The Edwards Aquifer Habitat Conservation Plan intends to protect them, and allow Texans’ continued use of the shared resource by implementing a mixture of strategies. Water conservation is a key part of it…but also [part of it is] looking at different ways to manage water. For example, we do currently have different levels of conservation that kick in to action as drought increases, but also many measures to help make the ecosystems more resilient. Things like removing non-native species, [and] helping to restore habitat that’s been compromised. One notable thing, especially for folks who recreate on the San Marcos River that’s been done, is to create a state scientific area that makes it unlawful to uproot Texas Wild Rice, a federally protected plant. It is easy to be dismissive of a plan to protect species which exist in very small numbers or that we do not often see. Tomorrow we talk about the value of these species. 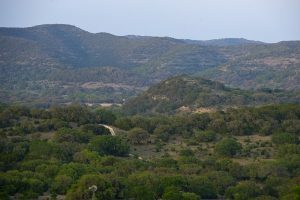 Edwards Plateau, the contributing zone to the aquifer. An ecosystem is a complex set of interrelationships among plants, animals, microorganisms, land, and water. 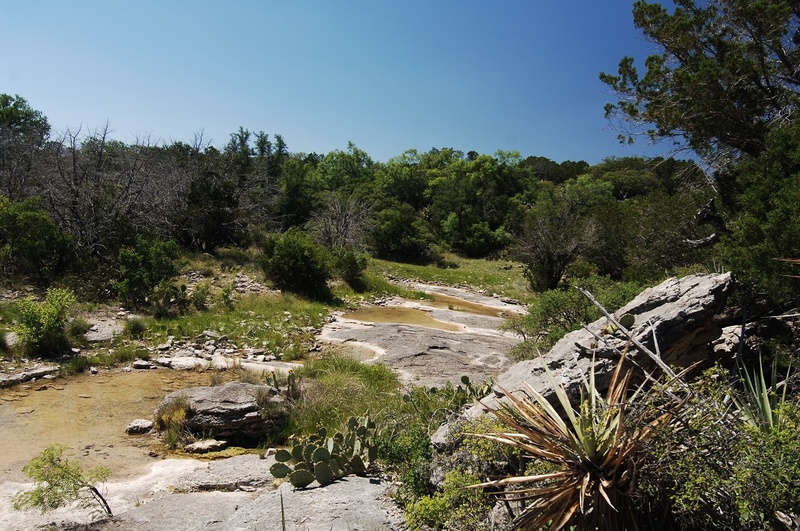 And Texas Parks and Wildlife is a collaborator on a conservation plan to protect a special ecosystem: the Southern Edwards Aquifer. The Edwards aquifer is home to many, many rare species, including eight federally listed threatened and endangered species. Cindy Loeffler is water resources branch chief at Texas Parks and Wildlife. Some of the most visible endangered species associated with the Edwards Aquifer are Texas Wild Rice – it’s only found in the upper two miles of the San Marcos River. Also, [of importance are] fountain darters, small fish that are found in the San Marcos River and the Comal River, and a number of cave-dwelling species you might not see just recreating in the rivers – but they’re there. Loeffler worked on the Edwards Aquifer Habitat Conservation Plan. Some of the species she mentioned are unique to the Edwards Aquifer Ecosystem. It’s important to protect these species for that reason, but also, this is a major water supply for many of us here in Texas, so finding a way to share that resource –finding the proper balance – that’s what the Edwards Aquifer Recovery Implementation Program has been about. What’s in the plan to help protect endangered species? We look at that tomorrow. 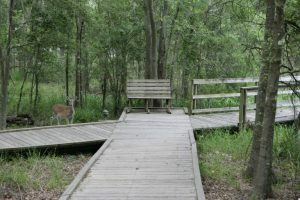 Accessible trail at a state park. Whether it’s ADA-accessible pit toilets in Enchanted Rock State Natural Area’s backcountry… or accommodations for disabled hunters in the public hunting program—access is important wherever and whenever possible. The March issue of Texas Parks and Wildlife magazine addresses accessibility in an article by writer Kathryn Hunter. The agency strives to provide access and inclusion for users of all abilities, while also recognizing that public lands are equally tasked with the protection and good stewardship of wildlife and cultural and historical resources. In fact, nearly any capital project underway has an accessibility component to it. Research has shown that when you make something accessible for one group of people it often improves accessibility for everyone. Read Kathryn Hunter’s article on accessibility in the March issue of Texas Parks and Wildlife magazine. Our show receives support in part from RAM Trucks: Built to Serve. I was once a captured slave. Now I’m just a black man who came to be…. I am a Buffalo Soldier! The Native Americans whom they fought during the Indian Wars gave troops the name because of their hair texture, courage, and ferocity in battle. He feared and respected the buffalo. And he learned to fear and respect the black soldier as well. 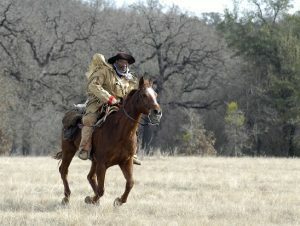 That’s Buffalo Soldier reenactor, John Olivera, who says Buffalo soldiers played a major role in settling Texas. Seventy-five percent of the soldiers that settled this area were Buffalo Soldiers. The only white men that were with them were the commanding officers. Almost all of the forts were manned and built by Buffalo Soldiers. 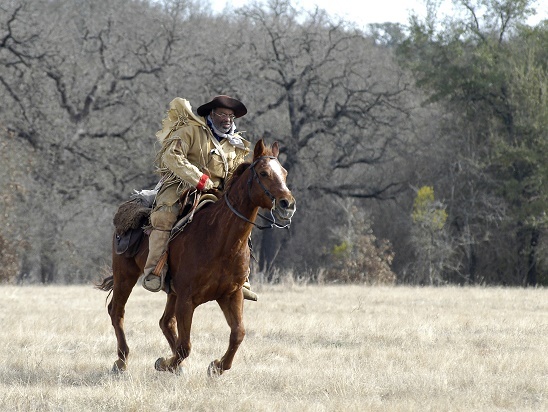 Texas Parks & Wildlife Department offers Texas Buffalo Soldier Outdoor Educational Programs. Find their schedule on the Parks and Wildlife website. The Buffalo Soldiers fought not only the Indians, and outlaws, but racism and prejudice. We had a job to do, and we done it. You are currently browsing the Passport to Texas weblog archives for February, 2019.